For external use only. For use by men only. Extremely Flammable: Avoid fire, flame, or smoking during and immediately following application. your amount of hair loss is different than that shown on the inside of this label or your hair loss is on the front of the scalp. 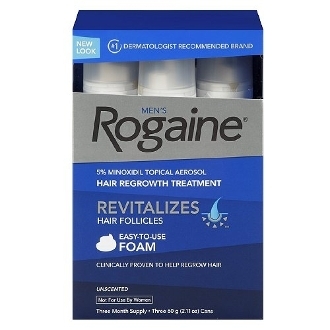 5% topical foam is not intended for frontal baldness or receding hairline.